A better understanding of the mechanisms of the placebo response is of paramount importance for the development of pain drugs with demonstrated efficacy. Placebo responses are commonly observed in placebo-controlled clinical trials due to their reliance on neurotransmitters, brain structures, and pathways that overlap with those of commonly used drugs.2 When devising treatments for chronic pain, understanding the mechanisms and predicting the size of placebo analgesia is of particular importance, as many of the pharmacologic treatments available have addictive properties. A 2015 study indicated that between 1990 and 2013 the size of the placebo effect in randomized controlled trials for the development of neuropathic pain drugs had increased while the magnitude of treatment responses remained stable, supposedly because of increases in both the size and length of trials over that period of time.3 A better understanding of the mechanisms of the placebo response — which would also help predict its magnitude — therefore appears of paramount importance for the development of drugs with demonstrated efficacy. Imaging studies in which the mechanisms underlying placebo analgesia have been investigated, have identified a number of structures as being implicated. Placebo analgesia was found to be associated with reduced activity in the thalamus, insula, and anterior cingulate cortex (using functional magnetic resonance imaging [fMRI]),4 with increased activity in the rostral anterior cingulate cortex (using positron emission tomography [PET]), a mechanism shared with opioid-mediated analgesia,5 with increased activity in the nucleus accumbens (along with activation of dopamine release; using functional molecular imaging and fMRI),6 and with spinal inhibition (using fMRI).7 However, these studies were carried out in healthy participants and the results may not be translatable to mechanisms underlying placebo analgesia in individuals with chronic pain, who not only have a distinct neuroanatomy and neurophysiology,8 but may also carry with them a set of treatment-related expectations due to past and present pharmacologic therapies. In the current 15-month prospective study (Clinicaltrials.gov identifier: NCT02013427), researchers sought to palliate flaws from previous studies through an optimized design consisting of 4 imaging sessions, the use of questionnaires to assess personality and pain characteristics, the presence of a control group (no treatment), and the inclusion of identical treatment periods for placebo and active treatment, followed by a washout period. Such a design allows the placebo effect to be distinguished from nonspecific effects, allows to examine the duration of the placebo effect and within-individual variations, as well as the stability of identified structures and networks. A total of 63 patients with low back pain of neuropathic etiology for ≥6 months and pain intensity >5 on a 0 to 10 scale were recruited. Study participants were asked to discontinue any pharmacologic treatment and report their pain level twice daily, and were randomly assigned to receive no treatment (n=20), placebo treatment (n=43), or active treatment (n=5; included to ascertain that placebo treatment was administered in a double-bind manner). Study participants came to the laboratory 6 times over a period of 8 weeks, and were scanned 4 times before and after each treatment. The study’s primary outcome was back pain intensity, which was assessed twice daily by participants using a visual analogue scale on a smartphone app. During each visit to the laboratory, numeric verbal recall and numeric rating scales were used to evaluate pain levels over the previous week and during the visit, respectively, and the McGill Pain Questionnaire and the PainDetect questionnaire were used to evaluate the sensory/affective and neuropathic components of pain, respectively. With the use of 15 questionnaires that study participants were asked to complete on their initial visit, a set of factors were identified as correlating with the magnitude of placebo analgesia. These included openness (1 of 5 personality dimensions), and 4 of 8 subscales of the Multidimensional Assessment of Interoceptive Awareness: higher emotional awareness was associated with greater placebo analgesia, and distracting from discomfort was associated with reduced placebo analgesia (P <.0013). Expectations — both positive and negative — were not found to affect the magnitude of the placebo response, contrary to other studies. Individuals who displayed a response vs no response to the placebo pill were found to have a larger right vs left volume in 3 subcortical limbic structures (nucleus accumbens, hippocampus, and amygdala) at all 4 visits (P <.005 for all), and individuals who did not respond to placebo were found to have thicker right vs left superior frontal gyrus (sensorimotor cortex; P <.001). These morphologic differences were only mildly associated with the magnitude of the placebo response. Could Open-Label Placebo Have an Analgesic Effect? 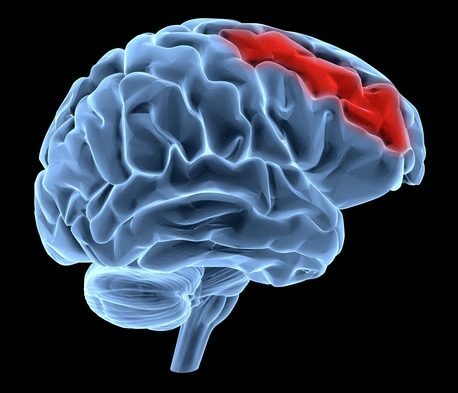 As indicated by resting state fMRI analysis, study participants who responded to placebo were found to have stronger connectivity between the ventrolateral prefrontal cortex (particularly Broadman area 47) and the precentral gyrus and weaker connectivity between the ventrolateral prefrontal cortex and the rostral-anterior cingulate cortex, compared with non-responders before treatment. These differences in connectivity were maintained during all 4 scans and were found to correlate with the magnitude of the placebo response. The magnitude of placebo analgesia could be predicted by a set of 19 connections as imaged before, but not after, the initial placebo treatment, as well as by a set of psychological features (including emotional awareness and openness). These 2 approaches to predicting the magnitude of the placebo response were not correlated with one another and were complementary. Vachon-Presseau E, Berger SE, Abdullah TB, et al. Brain and psychological determinants of placebo pill response in chronic pain patients. Nat Commun. 2018;9(1):3397. Kaptchuk TJ, Miller FG. Placebo effects in medicine. N Engl J Med. 2015;373(1):8-9. Tuttle AH, Tohyama S, Ramsay T, et al. Increasing placebo responses over time in U.S. clinical trials of neuropathic pain. Pain. 2015;156(12):2616-2626. Wager TD, Rilling JK, Smith EE, et al. Placebo-induced changes in fMRI in the anticipation and experience of pain. Science. 2004;303(5661):1162-1167. Petrovic P, Kalso E, Petersson KM, Ingvar M. Placebo and opioid analgesia–imaging a shared neuronal network. Science. 2002;295(5560):1737-1740. Scott DJ, Stohler CS, Egnatuk CM, Wang H, Koeppe RA, Zubieta JK. Individual differences in reward responding explain placebo-induced expectations and effects. Neuron. 2007;55(2):325-336. Eippert F, Finsterbusch J, Bingel U, Büchel C. Direct evidence for spinal cord involvement in placebo analgesia. Science. 2009;326(5951):404. Hashmi JA, Baliki MN, Huang L, et al. Shape shifting pain: chronification of back pain shifts brain representation from nociceptive to emotional circuits. Brain. 2013;136(Pt 9):2751-2768.